Over the summer I spent a weekend in London. It was kind of a last minute thing and I have to say I really enjoyed the trip, even if I was exhausted when we got home again. We got a flight to London City Airport at stupid o’clock and got the tube straight to St. Pancras station. 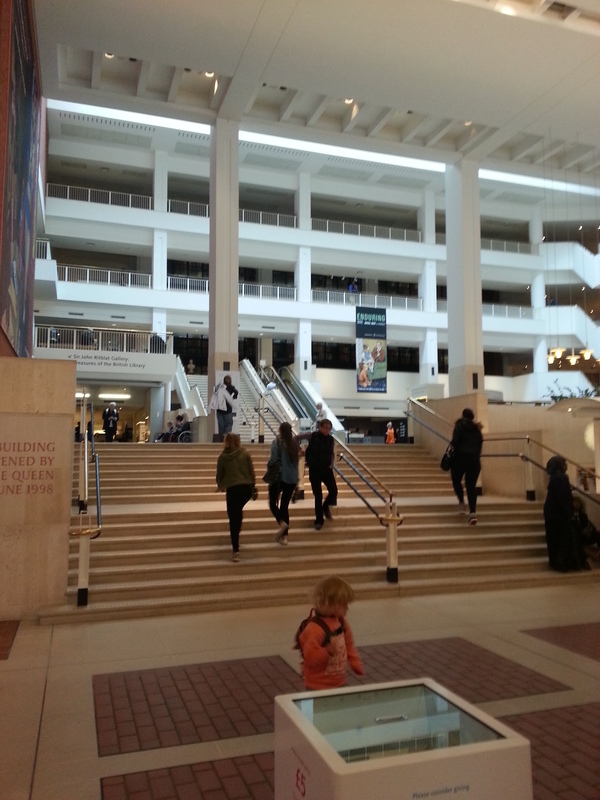 After a double espresso to keep up going we headed to the British Library to do a tour of the library starting at 10.30am. I was a bit skeptical about spending £8 each on a tour, plus I’d been up for half a day and it was only 10.30. But. I was wrong to be skeptical – the tour was fascinating. It was led by a real librarian who was really passionate about his topic and there were only 6 of us in total on the tour. We were all clearly library nerds so I was in good company. The building itself is a bit underwhelming from the outside, particularly if you compare it to the New York Public Library or our own National Library. But inside it’s quite beautiful. Our guide talked us through the building of the library and the controversies surrounding it, the beautiful King’s Library and we got to have a look at one of the reading rooms from a gallery. 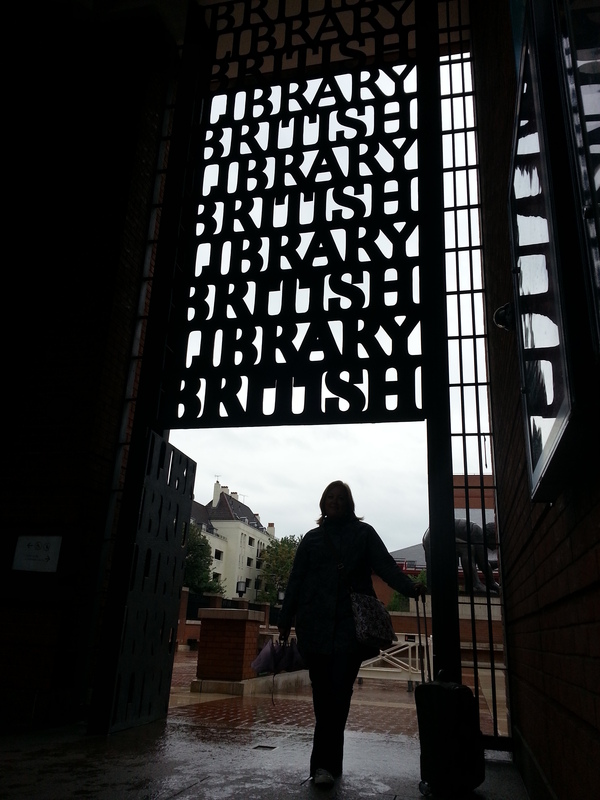 We finished the tour in the Treasures of the British Library permanent exhibition. As a librarian I really enjoyed the tour, but even if you’re not a librarian the exhibitions at the library are worth the trip. So we spent the morning indulging my interests. The afternoon was spent on a brewery tour of Fuller’s Brewery indulging R’s interests. Before I started knitting I used to make jewellery. 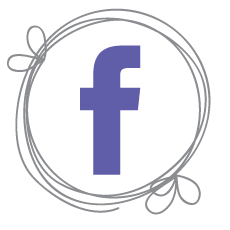 Pretty rudimentary stuff – nothing complicated. In the same way that I love the colours and textures of yarn, I love the colours and textures of beads too and amassed a small-ish stash. 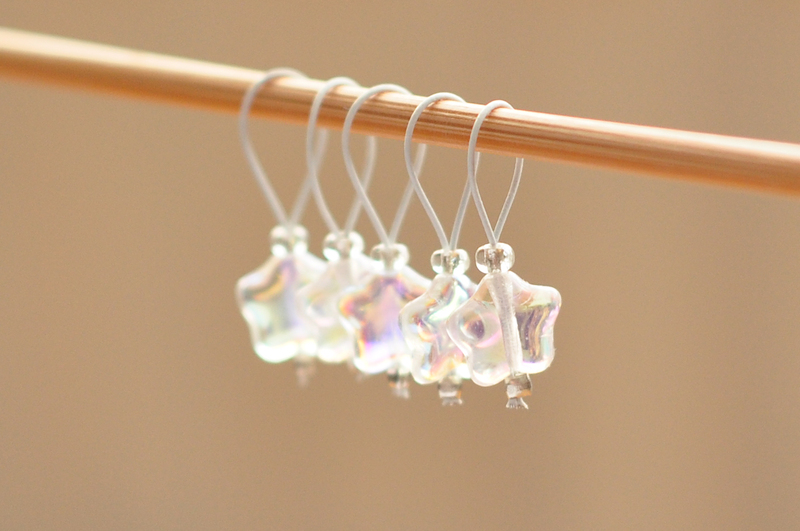 In a recent post I shared photos of my stitch markers. 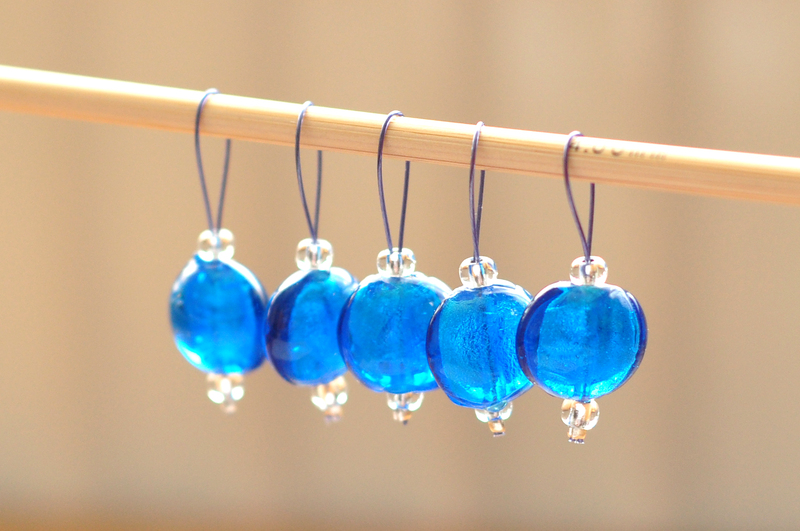 These stitch markers are really straight forward to make and give you pretty much instant gratification. Above you can see how I set up my work station (coffee table) before getting started. 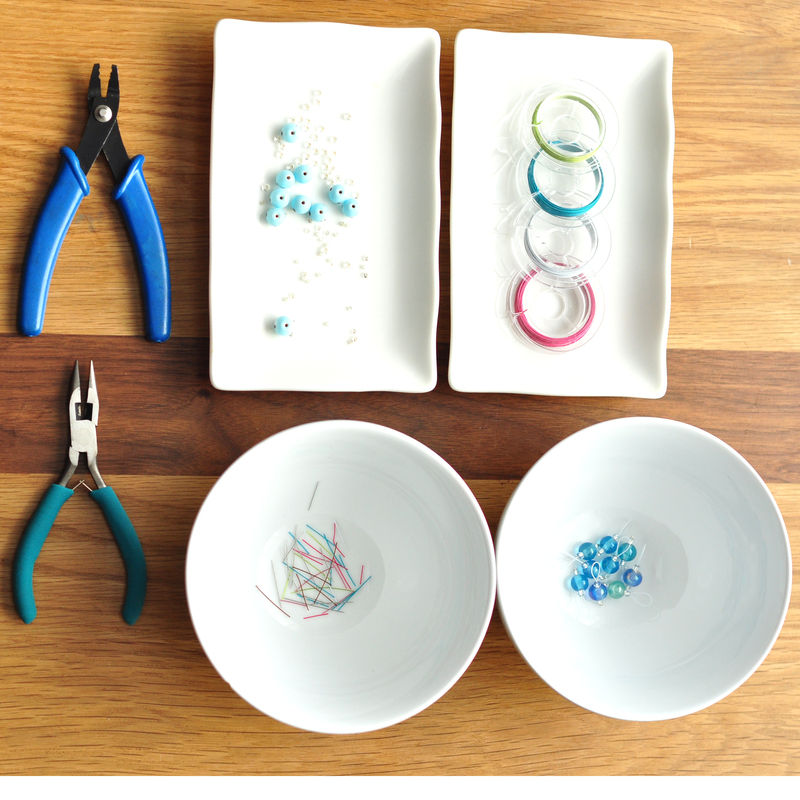 Clockwise from top left I have my crimping pliers, a selection of beads that I want to use, tigertail wire, a bowl for the finished markers, a bowl for the ends to be discarded and a wire cutter, which in this case is a flat nosed pliers with a wire cutter. 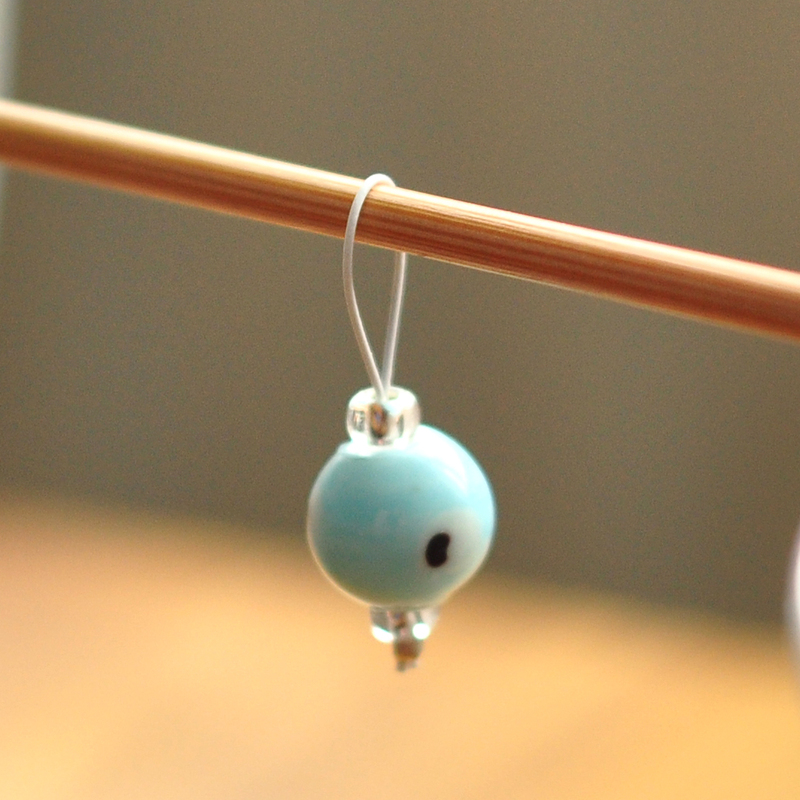 I actually bought the tigertail wire a few years ago without realising what it was, but I really like it for these stitch markers because it is really flexible but doesn’t kink easily. 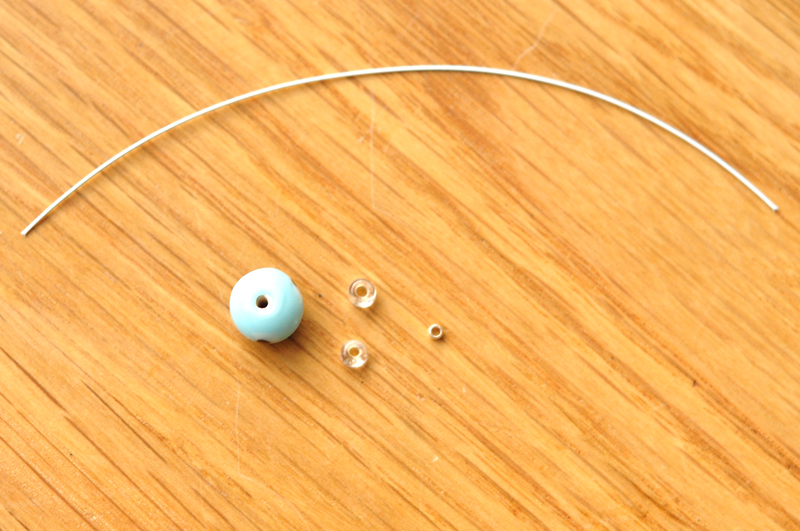 Cut of a length of tigertail wire with your wire cutter and fold it in half. 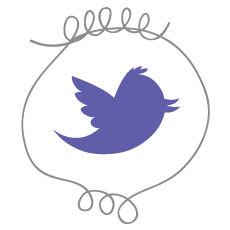 Thread your chosen beads onto it. 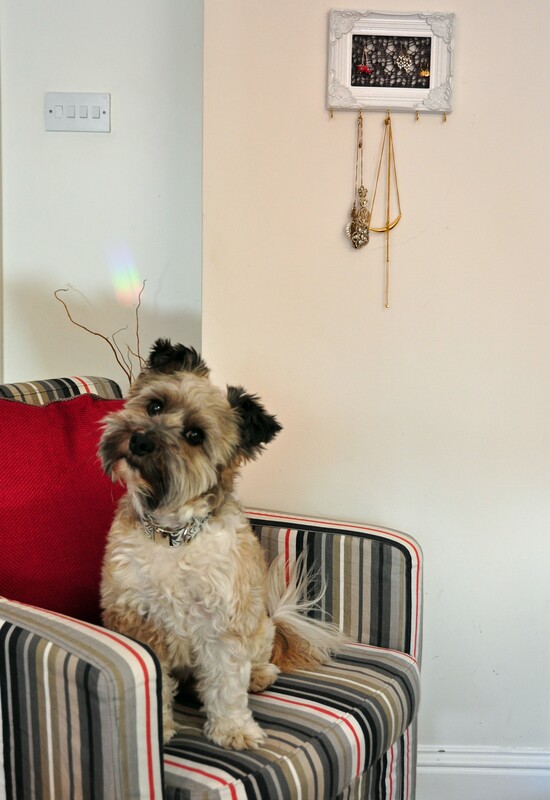 I like to use one small focal bead with a seed bead either side of it. The reason I use the seed bead (apart from looking pretty) is because I found there was a tendency for the main bead to slide over the crimped crimp bead, depending on the size of the hole in the bead. Lastly, add your crimp bead. 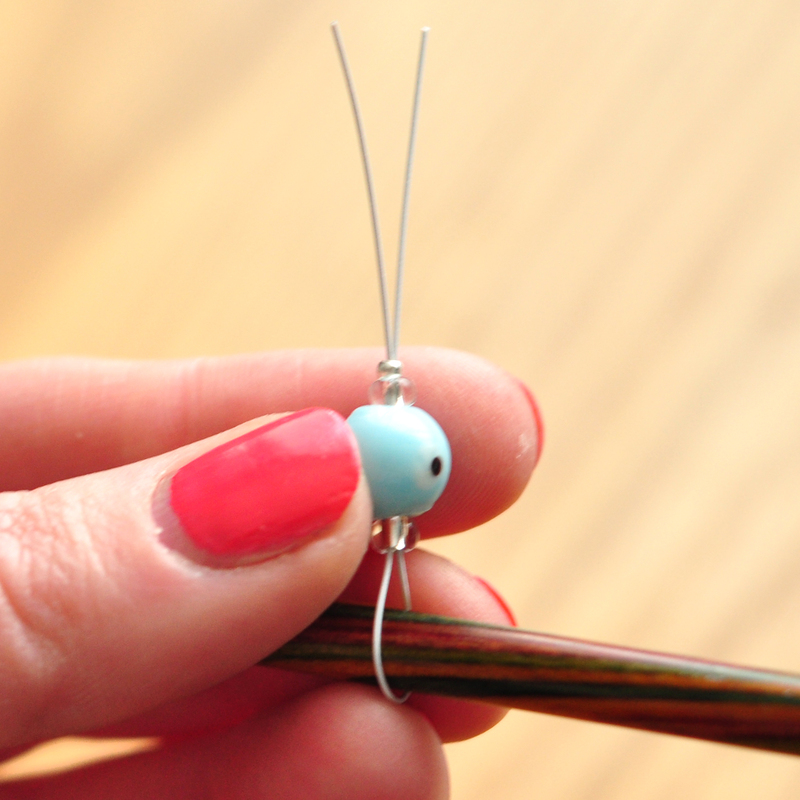 Using a knitting needle a few sizes bigger than the needles you want to use the stitch marker with adjust the beads on the wire. Sorry for the slightly blurry picture, it was hard to hold the beads steady in my left hand and take the picture with the camera in my right hand. Crimp the crimp bead to secure everything in place. This video shows you how to do this. 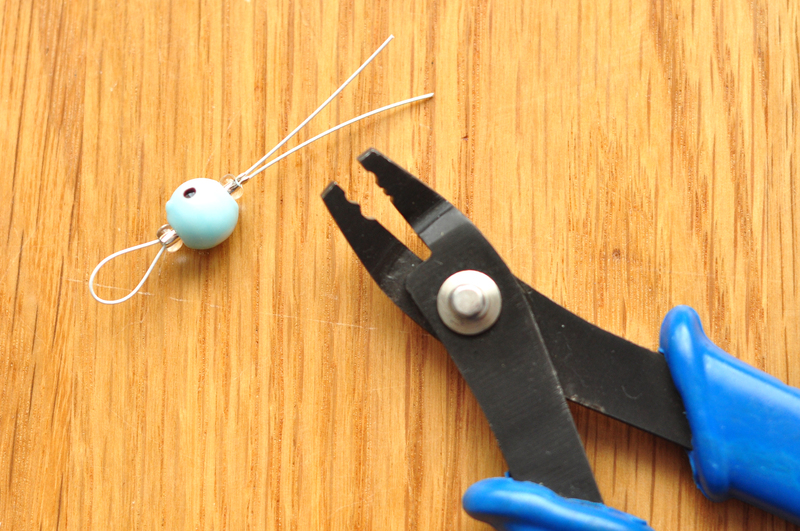 Lastly use the wire cutter to cut off the excess wire, getting as close to the crimp bead as you can. Et viola! That’s it. It’s really that quick and easy. I’ve gone a bit crazy making these recently and I’m donating them to HandmAid craft day in aid of Laura Lynn Hospice. Come along September 26th and help support such a great cause. I’ve been on a bit of a jewellery spending spree recently. I go through these phases of buying and wearing jewellery and then the phase just kind of fizzles out. I think part of the reason is that unless the necklaces or earrings or whatever are RIGHT IN FRONT OF ME in the morning, I’m too lazy/sleepy to find something to suit my outfit. I browsed Etsy for some funky jewellery organisers that might helps solve this problem but decided in the end that I could make something just as nice myself as I could buy online. This pattern on Ravelry also served as inspiration. And here is what I came up with. My earrings slot into the knitted lace nicely and my necklaces and bracelets hang from the hooks. This example is a little on the small size for me, but I intend on making a larger on soon. If you want to make something similar, find a lace pattern that you like. 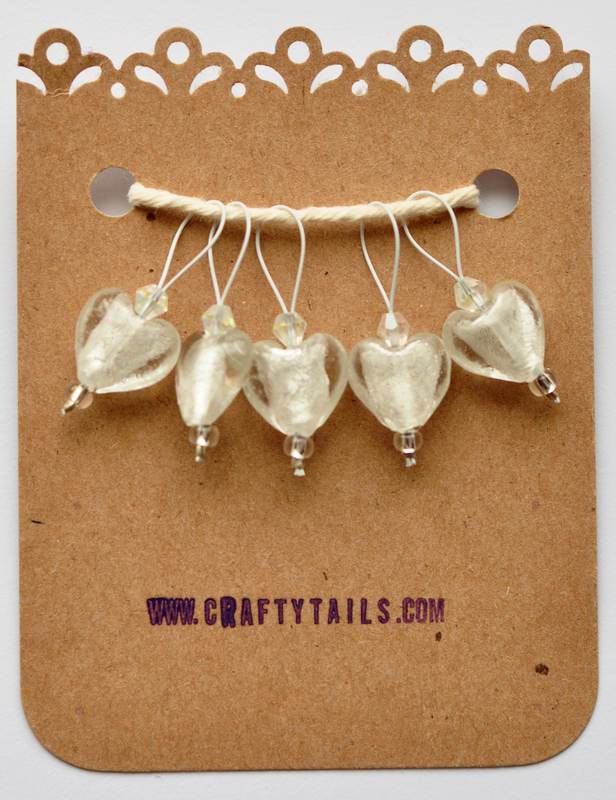 I recommend one with a lot of yarn overs, as this makes it easier to slip your earrings into the lace. I used the ‘lattice lace’ section from the Dinner in the Eiffel Tower Shawl. I would also suggest choosing a neutral coloured yarn so that your earrings stand out on it and you can see your choices clearly. For my next one I’m going to use a pale grey or cream I think. I used a household stapler to staple the knitted fabric into place, starting at one side, them the opposite side to get the tension even over the lace. You want the lace panel to turn out a bit smaller than the internal size of the frame, as this will give you nice tight lace. I just opened the stapler fully and pushed the staples into place. Whatever material this frame is made of was soft enough to do that. Then I decided to have five hooks for my necklaces, so I measured the base of the frame and marked where the hooks should go. I then drilled pilot holes into the frame to make it easier to get the hooks to screw in. And viola! 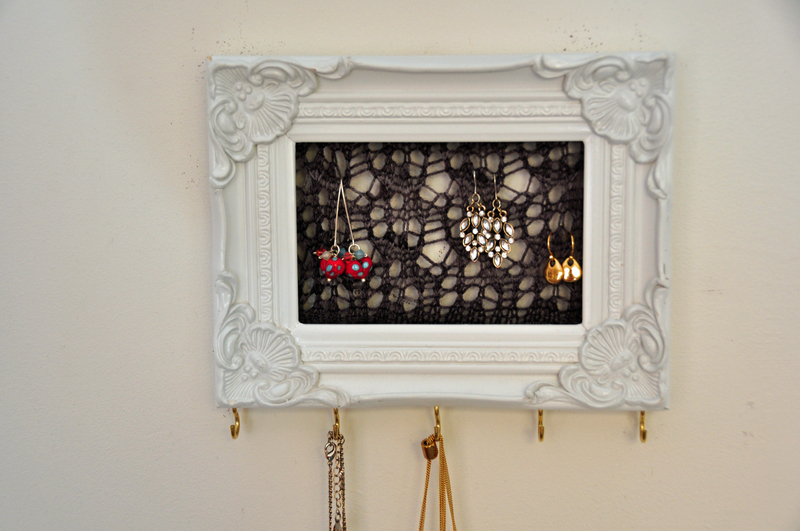 My new jewellery organiser was finished. Now I can see all my jewellery and can quickly pick something to wear in the morning before I head out the door. And it looks kinda pretty too. 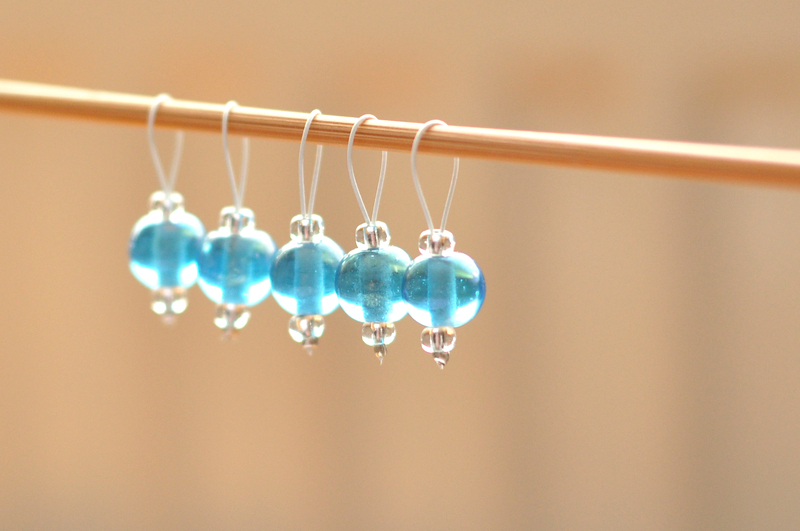 As well as setting some of my stash free for a good cause I also decided to make some stitch markers for HandmAid this year. HandmAid is a craft day that has been held annually in Dublin for the last three years and is in aid of the Laura Lynn Hospice this year. On the day there will be various crafty classes, a market stall and a cafe, both stocked with donations. That means yarn cake AND cake cake. So anyway, this decision kicked off a massive stitch marker making weekend. This is partly because I’m getting bored of knitting the border on my Winnowing. I needed a distraction. So out came my bead stash and pliers and several hours later I had quite a collection of stitch markers. The markers I make use a combination of tigertail wire and beads, rather than a jump ring. I use these exclusively when knitting and I find them great. They’re lightweight and don’t snag on my knitting. I’m going to I have put a tutorial together. 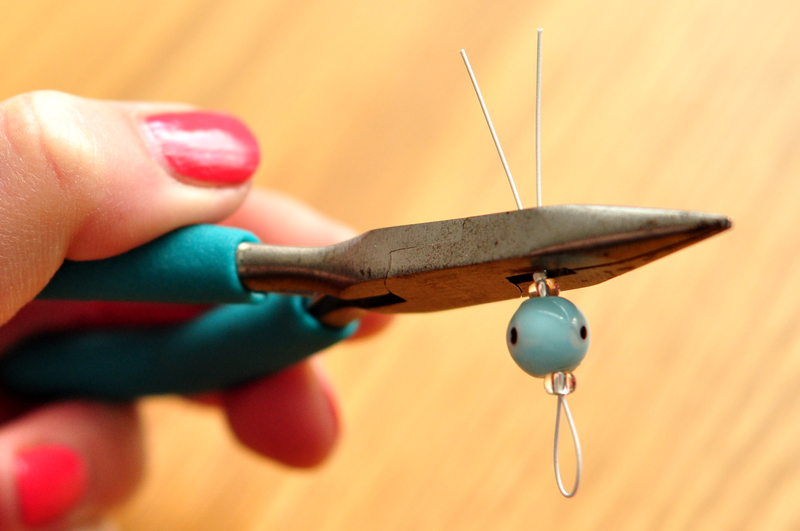 They’re so easy to make if you have a few tools to hand. I had initially intended on leaving them loose to be sold at HandmAid but there was such an amount I decided to bundle them into sets of four or five markers. So this is the final product. I should have a big box of these to deliver to the organisers to be sold on the day. 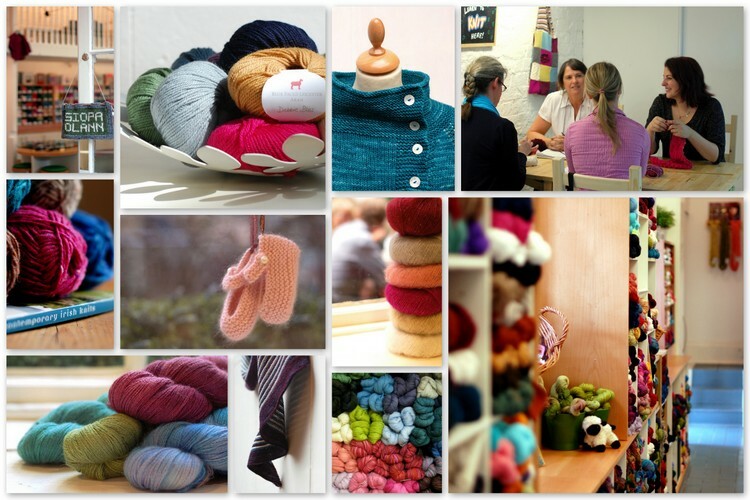 So pop along on to Damer Hall on Stephen’s Green on Saturday 27th September 2014 from 10.30am to 4.30pm. A recent trip to London involved catching up with wonderful friends, much beer drinking, some cultural stuff and a visit to a yarn shop. My husband is obsessed into home brewing and craft beers and most holidays end up highjacked by involving *many* visits to craft beer pubs and breweries. In the last few years I’ve been able to balance this out with trips to yarn shops and more recently visits to important libraries. This is called revenge compromise. 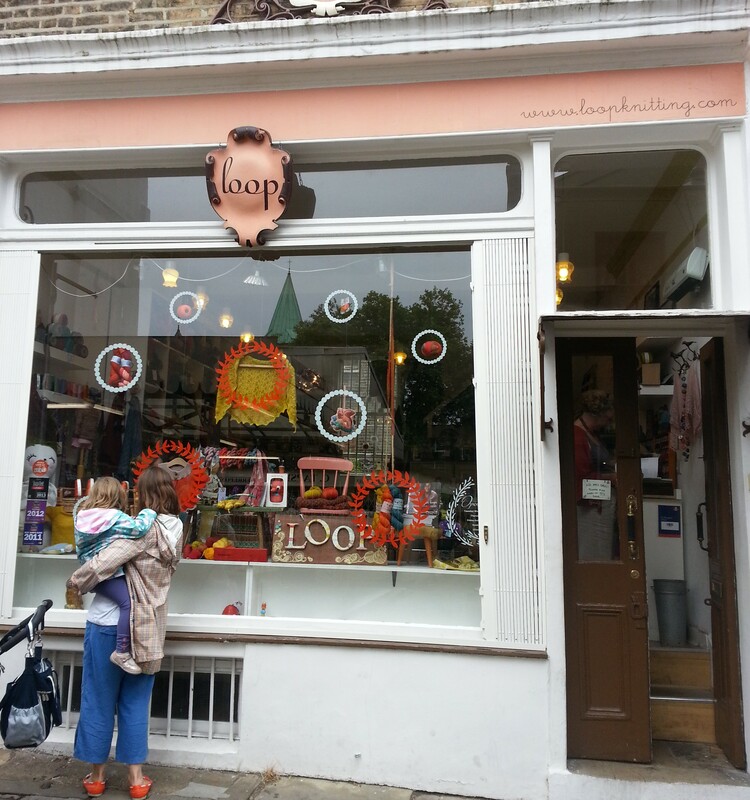 This meant that on our trip to London last month that I got to visit Loop in Islington with few no complaints. 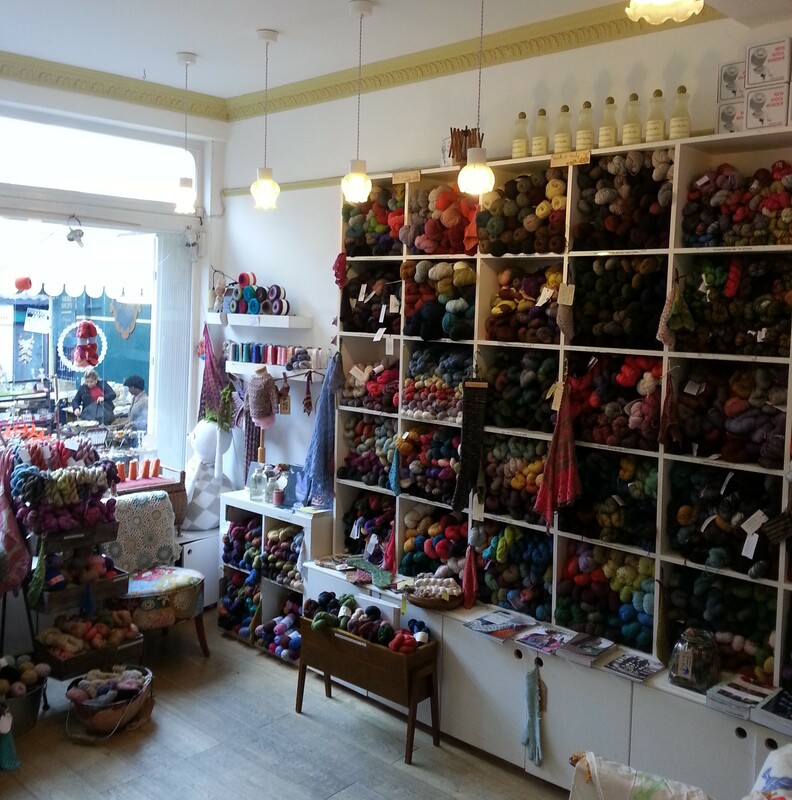 It’s a really lovely little shop split over two floors. It’s down a pedestrian alleyway and is surrounded by other lovely and quirky shops. I love a good potter, so I do. 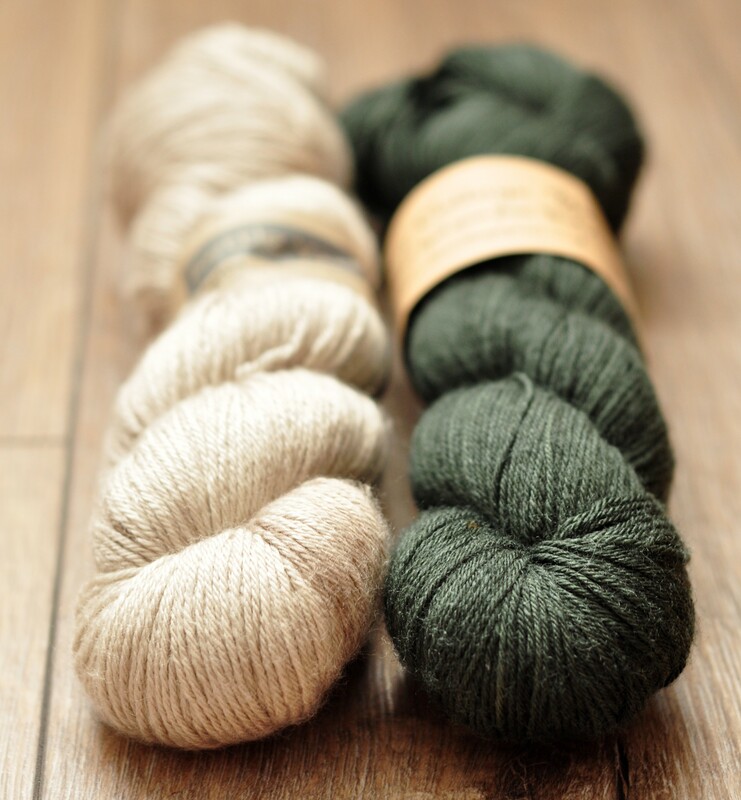 As I’ve bought a lot of bright coloured yarns recently I wanted to choose some nice greys. I chose a skein of Islington by Kettle Yarn Co in a light silver called Light Squirelly. It’s called Islington and I was in Islington, you can’t get more local than that! My other purchase was a skein of Titus 4ply by Eden Cottage Yarns in a rich dark grey called Coal. I don’t know what they’re going to grow up to be but for the moment I’m happy just knowing they’re mine. And souvenir yarn doesn’t count. Right? The other day on Twitter I spotted a link to a list of gifts for librarians. Well of course I clicked through but as often happens I was underwhelmed with the list I found. So I decided to create my own list. 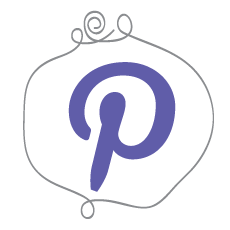 I already have a Pinterest board that I pin library related stuff to and I also looked on Etsy, which is my absolute favourite place to look for quirky, unique and handmade gifts. So without further ado…. And I mean a real, actual card catalogue. I want one. I want one so bad. If you love the librarian in your life this is what you will get them. Vector Cloud don’t have this necklace in their shop at the moment, but you can do what I did and ask Amelia to make a custom necklace for you. I *love* mine. Swoon!! Have you ever seen anything so lovely? It’s a real actual book, with a lovely leather cover and blank pages inside – as a necklace. Stunning. I want one. That is all. They also do the same motif on a tote bag, a women’s tshirt and a men’s tshirt. But I really love the look of this jumper, as I don’t really wear tshirts. I’m a knitter and a librarian. This book was written for librarian knitters just like me. The book is available as a print book or a pdf. 7. Vintage Inspired ‘From the Library of’ Personalised Self Inking Stamp from Rosso Stamp Co. If you don’t want to shell out for an embossing stamp, why not get an ‘Ex Libris’ ink stamp. 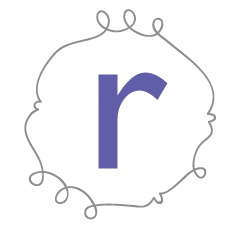 There are lots to choose from on Etsy and this one is personalised with the recipient’s name. How about these cute library card notebooks? There are a lot of versions on Etsy but I particularly like these ones because the pages inside are blank. It’s not nice to write on books in pen (library patrons are you listening!? ), so why not get the librarian in your life some personalised pencils. This is also a nice idea for archivists, who also use pencils daily in their work. Myself and a librarian friend got these for our archivist friend and boss and I’m pretty sure she liked them. Every librarian loves the smell of books. Fact. I think it’s in out genes or something. I haven’t actually smelled these candles but I love the idea of them. PS. Caroline from Libraries and Labyrinths has also suggested fabulous faux book covers for e-readers from the British Library. If you have any further suggestions leave them in the comments please.